While assessing the land in late 2014 for developing Ponce Inlet Key, Newberry Homes and Planning Officials of Ponce Inlet discovered a turtle strolling across the property. 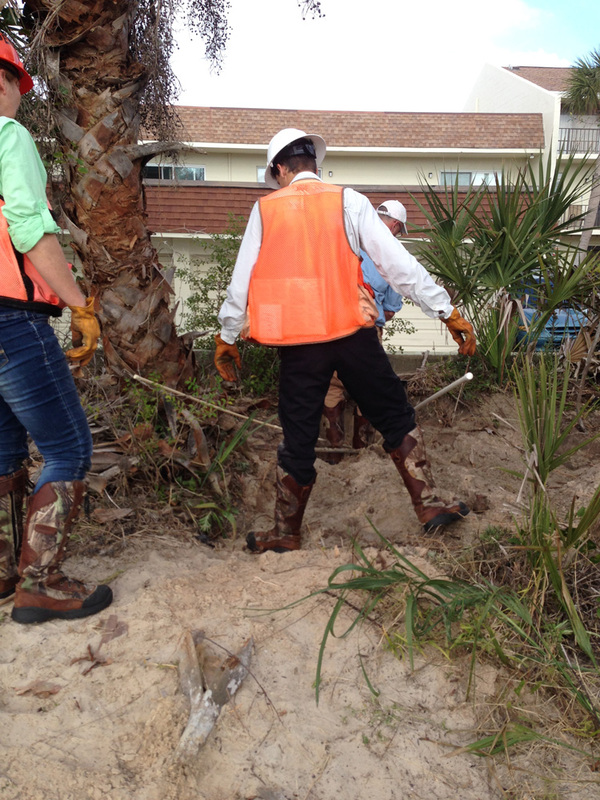 For the turtle’s safety, Newberry Homes hired a team of environmental biologists to survey the land and they soon discovered several gopher tortoise holes on the property. Due to their close proximity together, it was presumed that the holes belonged to one turtle; one turtle burrowing himself several beach homes within the scenic property. 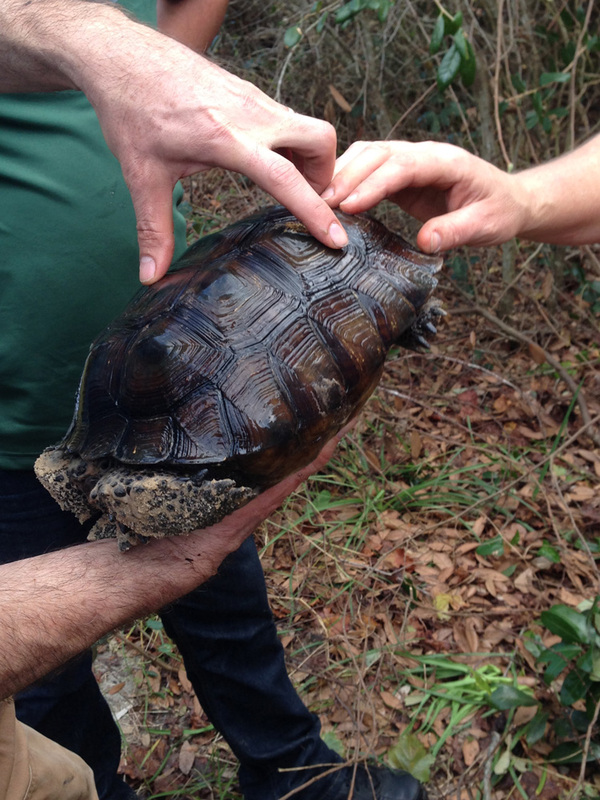 Due to the unusually warm winter, the team of biologists was able to search for the gopher tortoise in January for a potential relocation. After a sunny Saturday morning of searching, they discovered Earl the Turtle – a healthy male gopher tortoise. No other turtles were discovered throughout the property and after a thorough examination Earl was relocated that day to a wildlife preserve in Osceola County, Florida. Newberry Homes takes great pride in being a responsible steward of the environment and were pleased that their hired team of biologists were able to safely find Earl and relocate him to a wildlife preserve, a friendly new home with other gopher tortoises.